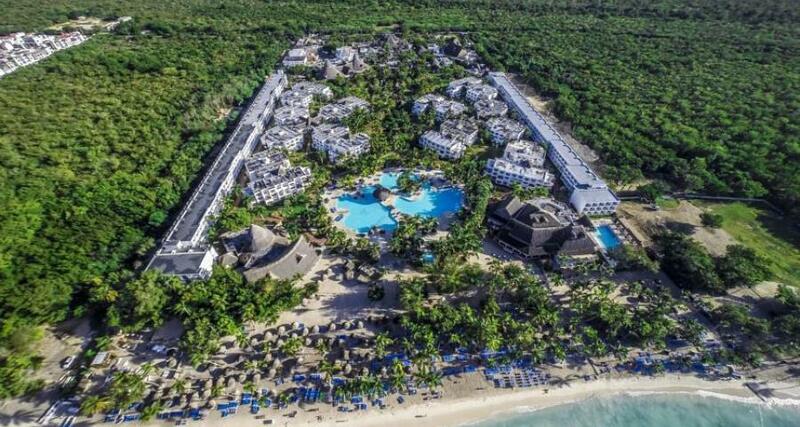 Be Live Collection Canoa - All Inclusive is a 3.5* family friendly beachfront hotel located in Bayahibe, Dominican Republic. It features 871 rooms and swimming pools. All inclusive meal plans are available! Be Live Collection Canoa - All Inclusive is a beautiful resort located right by Bayahibe beach in Bavaro. It is adjacent to Este National Park. This hotel offers modern facilities and luxurious services, such as a la carte restaurants, bars, a fitness center, a spa, large swimming pools and easy access to the beaches. This property features comfortable air-conditioned rooms with private balconies or terraces along with convenient amenities like cable TV and a mini-fridge. Among the activities this hotel provides you'll find daily activities for children and adults, sports fields, non-motorized water sports, a game room, shows at the theater and a nightclub. The VIP packages also include exclusive services and access to VIP locations in the hotel, such as butler services, VIP pool and beach areas, premium drinks, additional room amenities and complimentary Wi-Fi. In addition, the hotel has received the Blue Flag award for 2018-2019, which certifies that the hotel's beach and coastal area are clean, safe, sustainable and accessible.